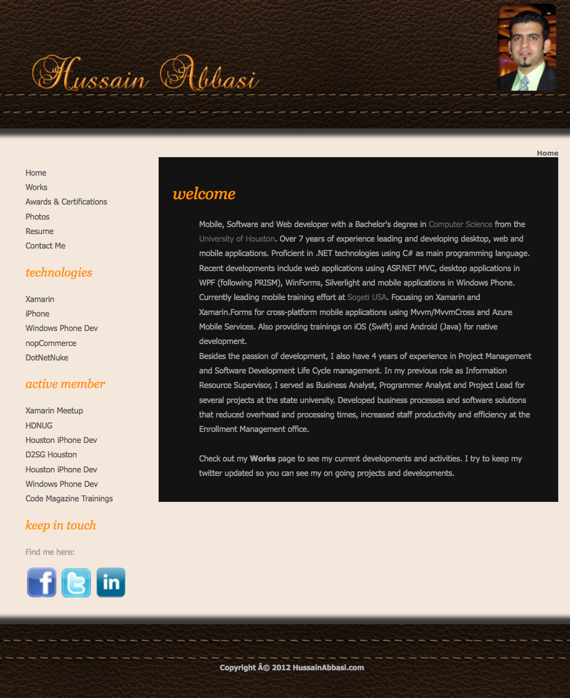 I made my website (www.hussainabbasi.com) during my final year in college. The idea for having my own website was to showcase my work and make it easier for employers to see my awesomeness. As I got a job and life took over, my website became outdated and merely a place for me to keep documents I wanted to share in my apps. I finally got tired of it and decided to move it over to WordPress. I already use WordPress for my technical blog IntelliAbb and like it a lot, so it was a no-brainier. Anyhow, I will try to keep my website updated this time :). So, follow my blogs (this one and the other one) and I’ll take you on this journey with me.